Happy Last Day of International Clown Week! Today marks the final day of International Clown Week. In order to celebrate, I broke out an old hobby of mine and tried to juggle. 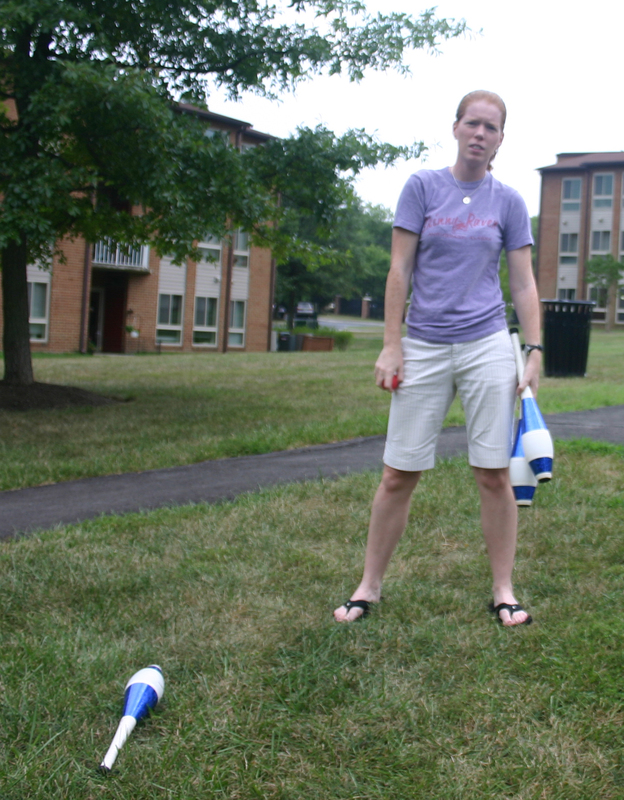 I learned to juggle about 15 years ago and honed my skills in college. Ever since, I’ve been lugging around a duffle bag full of juggling equipment from apartment to apartment. Believe it or not, even after years of inactivity, I was able to start juggling clubs again after just a few tries. Now getting a good picture of said activity was quite a different story. 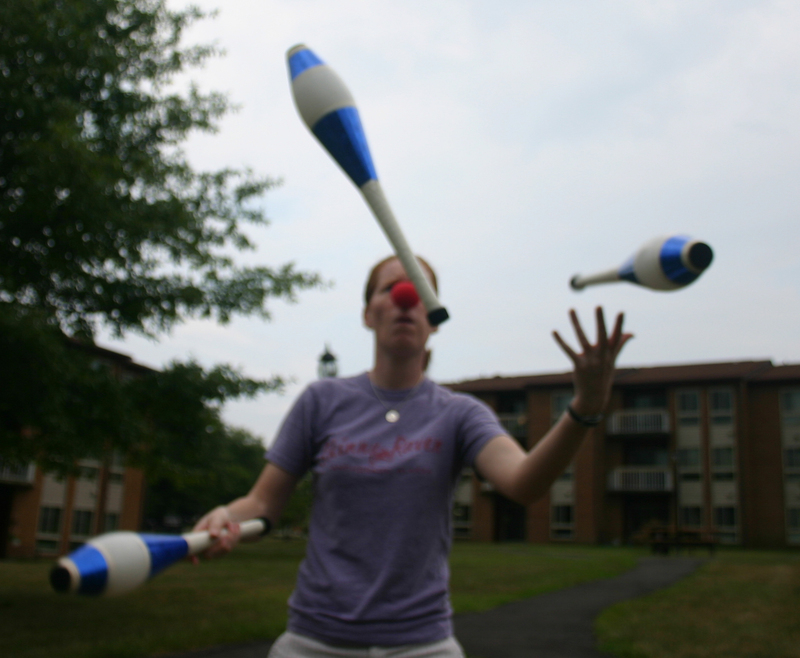 First I can juggle, but it’s out of focus. 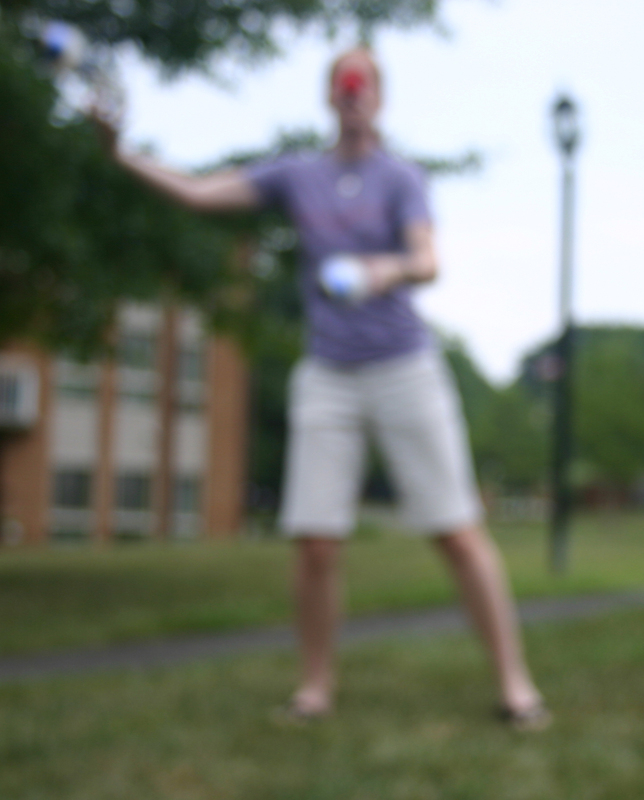 Not really in focus, but the best shot I got of actual juggling. In the interest of science, I was going to try and write a physics explanation of how to juggle, but Jack Kavlan already did! So that saves me some trouble. Aw well, I’m not gonna get rid of my post, but I wish the UN had maybe made a bigger stink about it! You shouldn’t remove your post. It was really nice. I agree. The UN should let people know when they are just going to up and change things.